Participation in international organizations – National Technical University "Kharkiv Polytechnic Institute"
NTU “KhPI” carries out organizational and technical functions for the establishment and development of external relations with foreign partners. NTU “KhPI” has been repeatedly recognized as one of the best universities, both in the region, and in Ukraine for its active international cooperation. Active participation in international organizations is one of the main priorities of NTU “KhPI” international activities. Since the December 1, 1998, National Technical University “Kharkiv Polytechnic Institute” is a member of the Alliance Universities for Democracy (AUDEM). 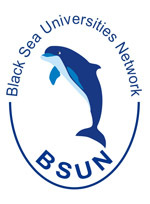 On November, 1, 2009 by a decision of the Executive Committee of the Black Sea Universities Network (BSUN) National Technical University “Kharkiv Polytechnic Institute” was accepted to Black Sea Universities Network (BSUN). 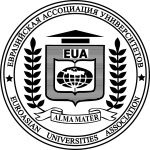 On March, 10, 2009 National Technical University “Kharkiv Polytechnic Institute” has become a full member of Eurasian Association of Universities.